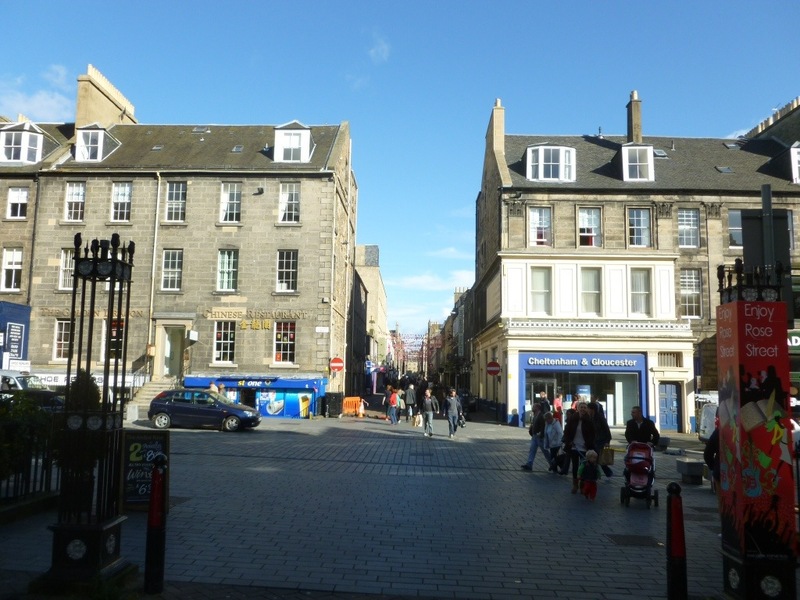 After a great time in Edinburgh, it was time to go south again and once again we cheated and hired a van for 2 days to express us and the bikes down to Essex. 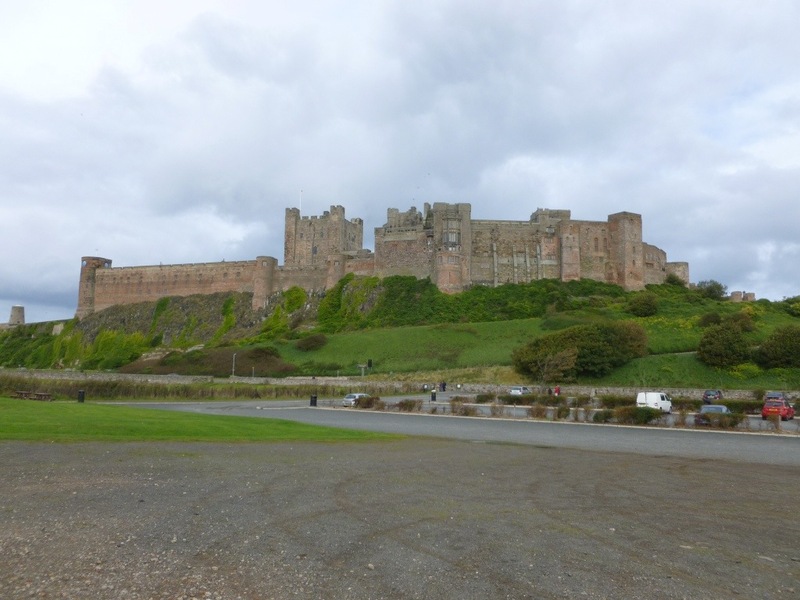 On the way we stopped briefly at Bamburgh castle. 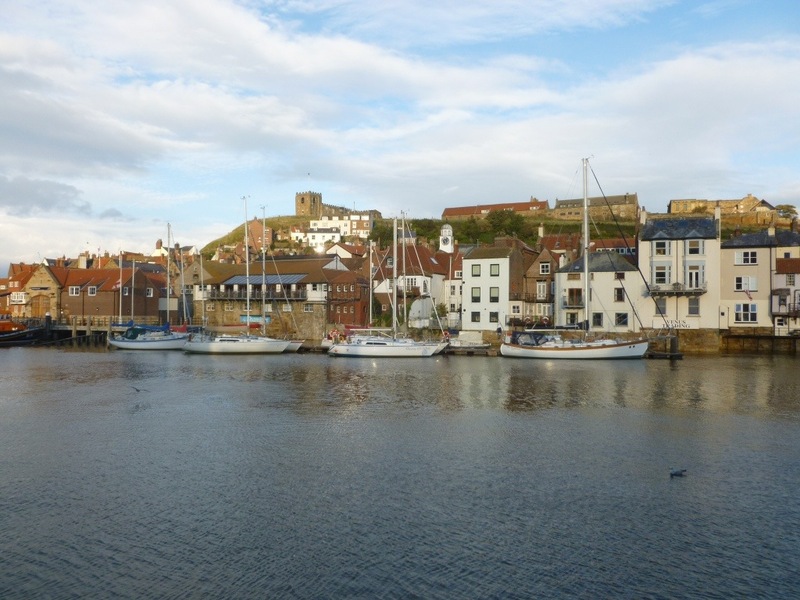 We also stopped at Whitby for some chips before arriving at a wet, cold and dark campsite at 9:30pm near Lincoln. 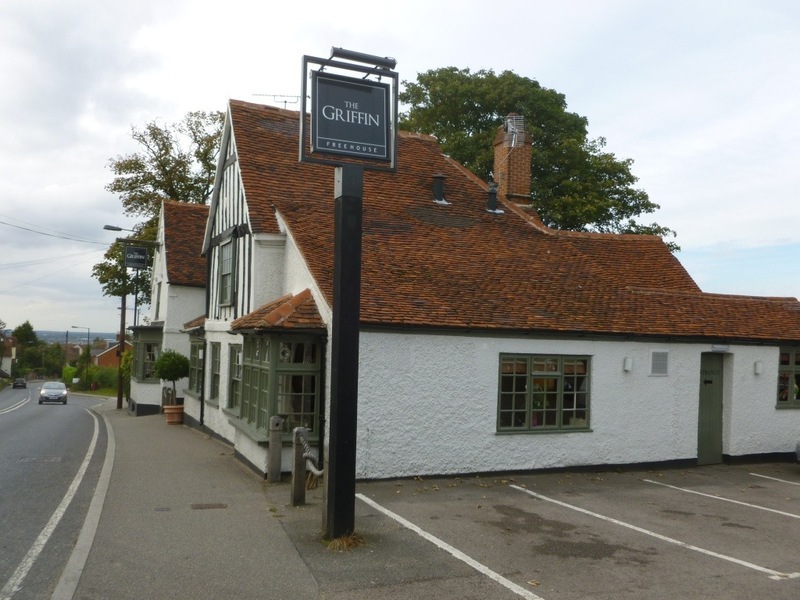 The following day Gill and I were back in our childhood home of Danbury – staying with my parents for a few days. It was wonderful to once again have a break from cold camping and to reminisce old times. 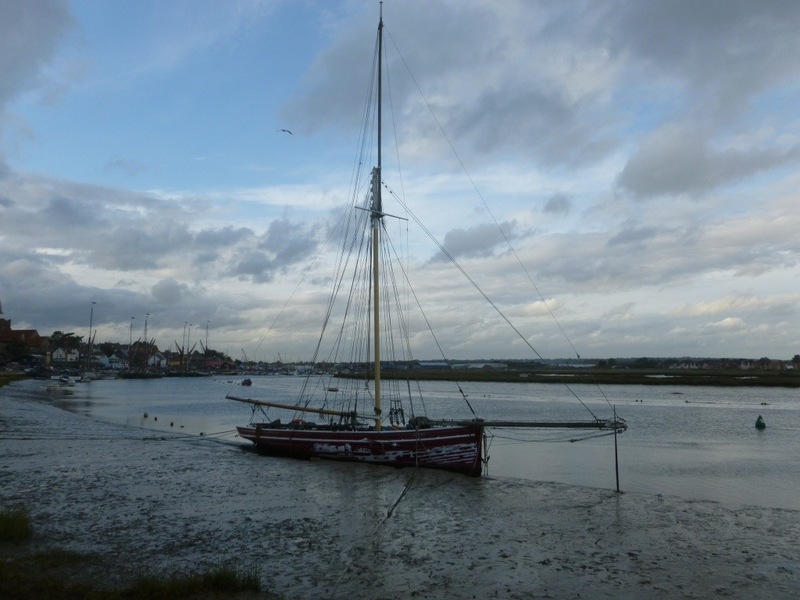 The nearby Maldon promenade is still a beautiful spot with more classic boats moored along the key than I can remember. 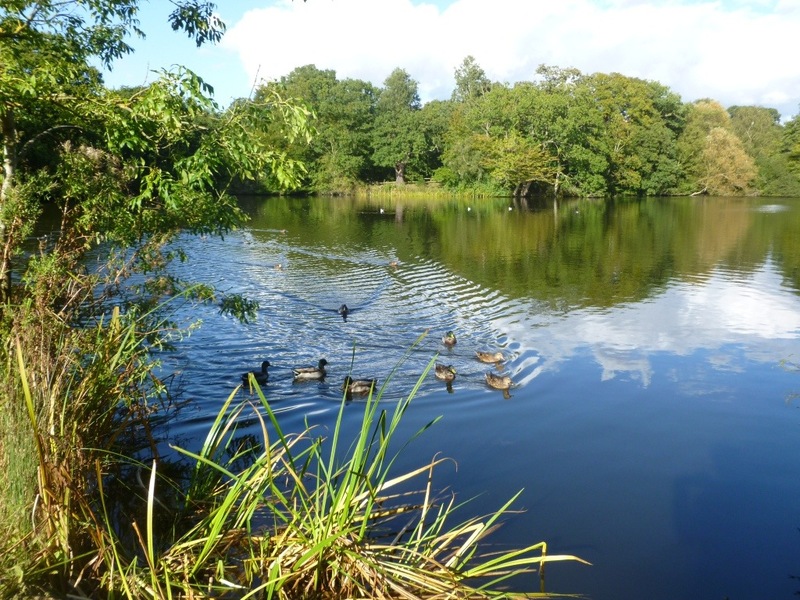 The lakes at Danbury were also a favourite weekend destination for us and were as beautiful as ever. 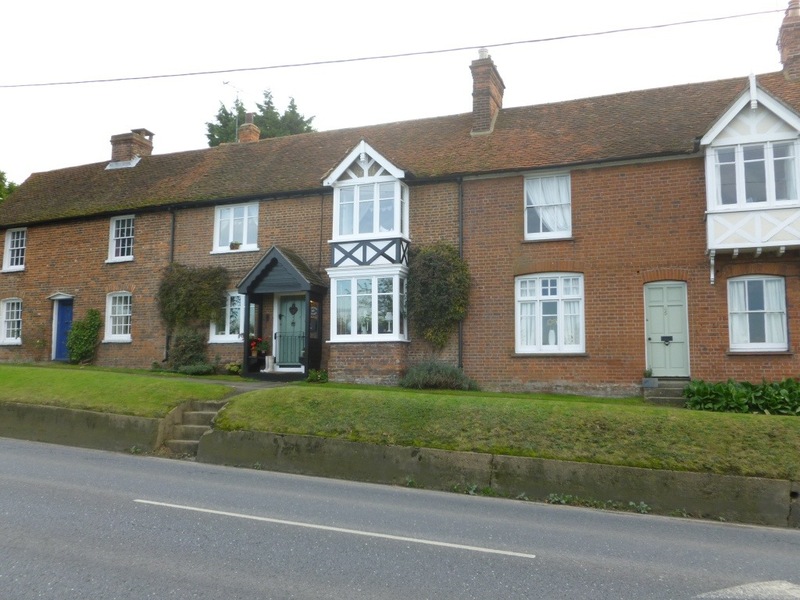 Essex isn’t a classic holiday destination, but I find that the rural areas are extremely pretty and most villages are extremely well kept. It is also a good area for cycling and not as flat as you would think. Here are some photos at the top of Danbury hill. Before heading east for the coast, we spent a day visiting friends and family in the London area. 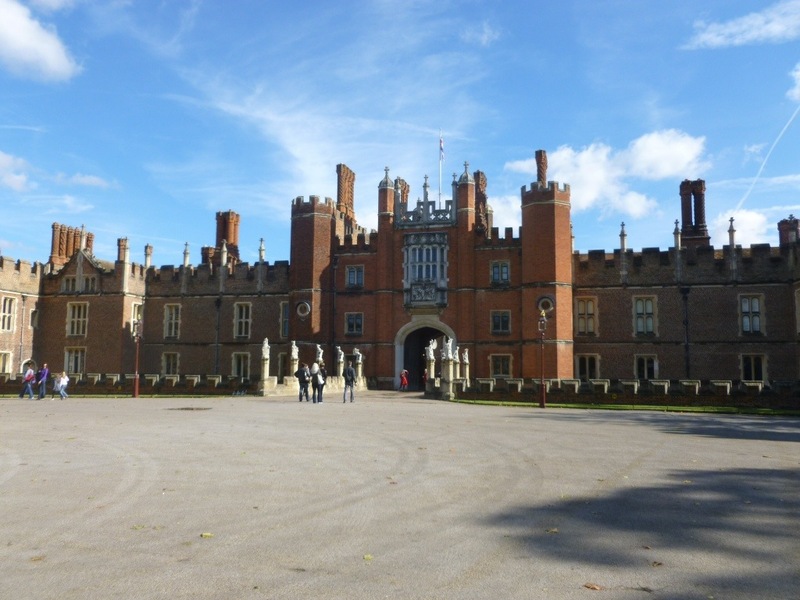 We spent a lovely Saturday morning walking around Bushey park and Hampton Court. 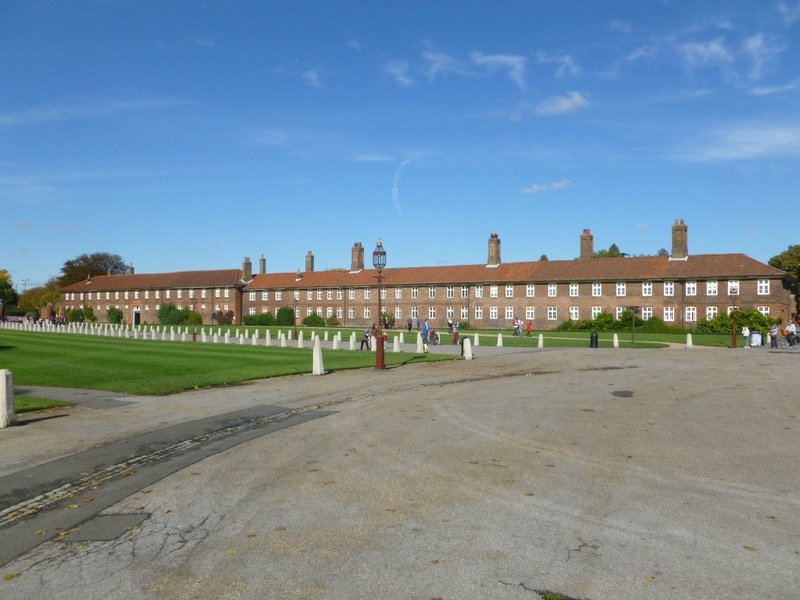 We finally left Danbury and cycled towards the ferry at Harwich, stopping for a night with relatives in Brightlingsea (where my Dad was born and raised). On the way, we stopped at Tiptree to see the Tiptree mill. My Grandpa used to own and run his farm supplies business in this Mill. 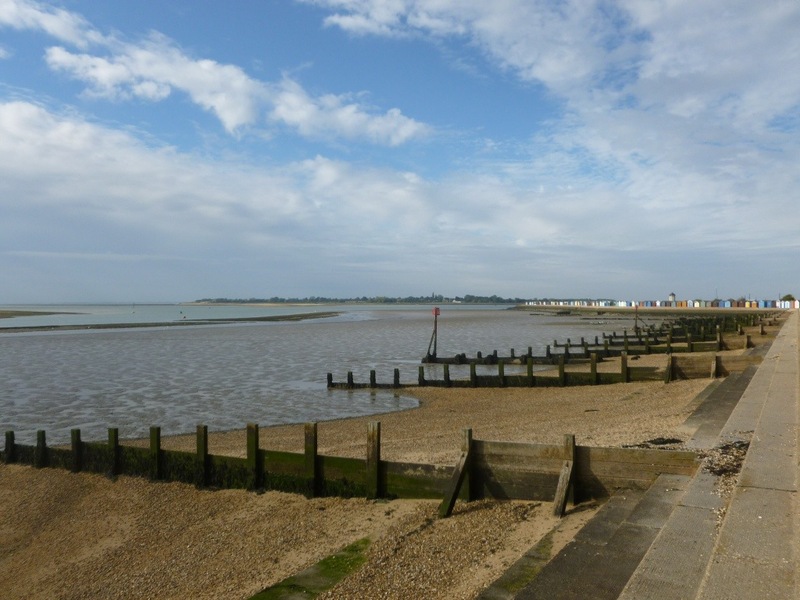 We used to regularly visit Brightlingsea prom in the summer where my Grandparents and Uncle and Aunt had a beach hut. 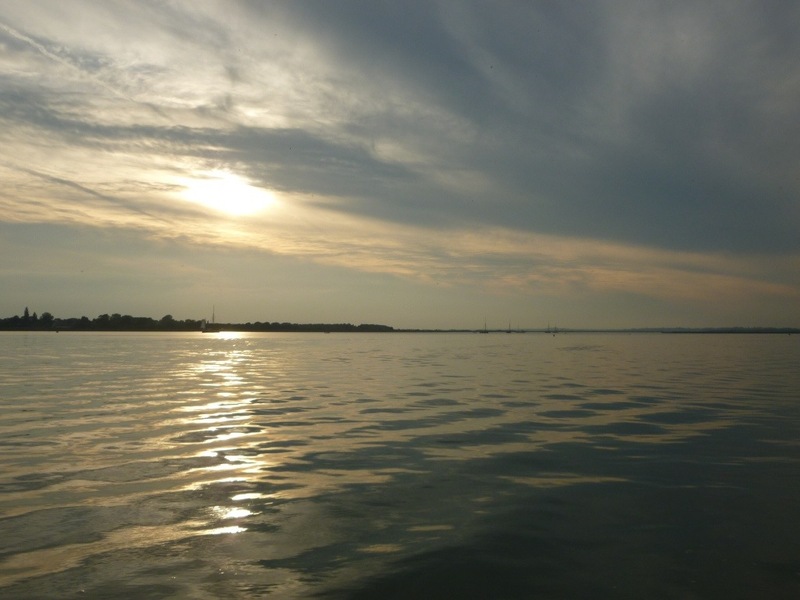 The sun sets over Mersea island, as does our time in the UK. The next day we made our way to Harwich to catch the ferry to Holland. 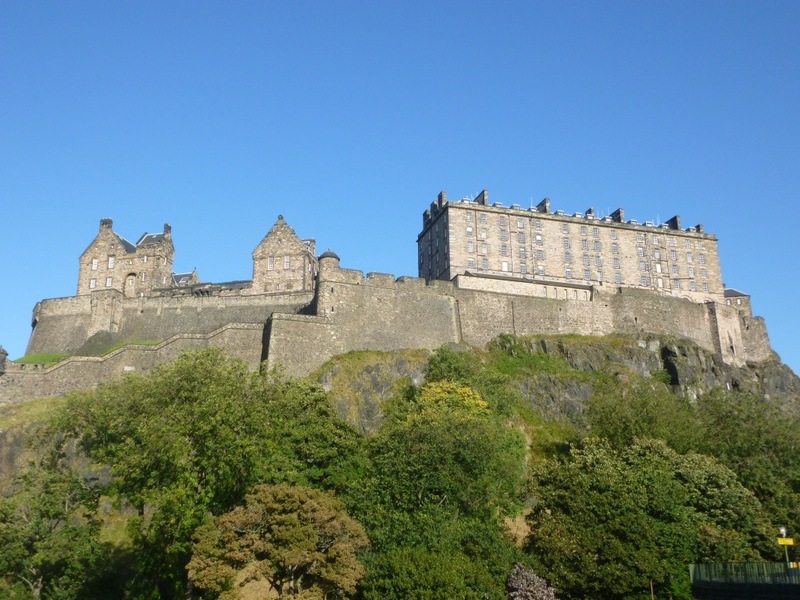 Despite my original intention to progress south from Scotland, we ended up progressing east and staying in Scotland for another week. 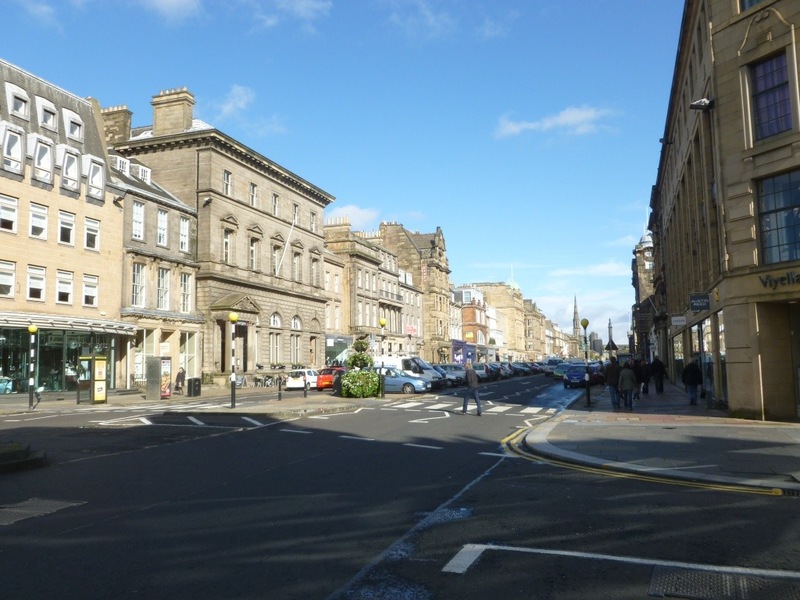 Our intention was initially to progress to Glasgow. The two day cycle was pleasant albeit still with some hard climbs. Here is a picture across to Arran from the Tarbert Ferry. 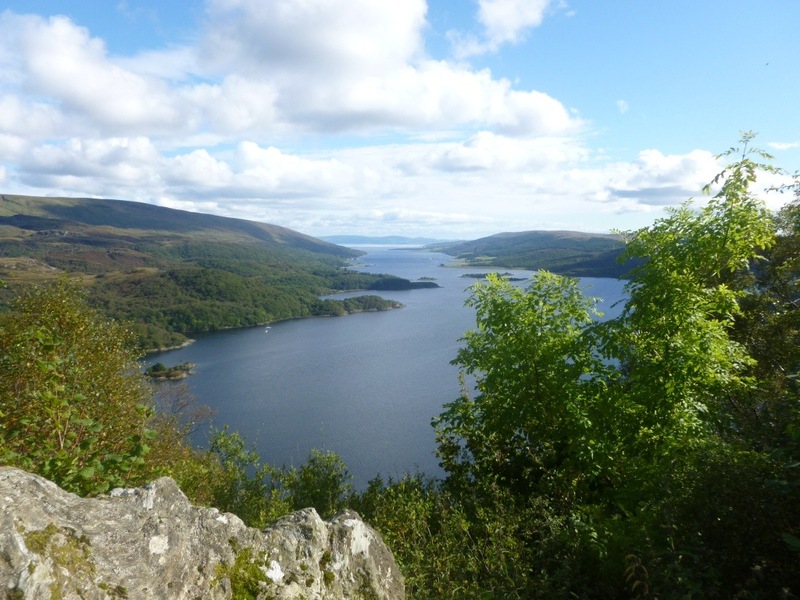 This is the view over Loch Riddon to the Isle of Bute. 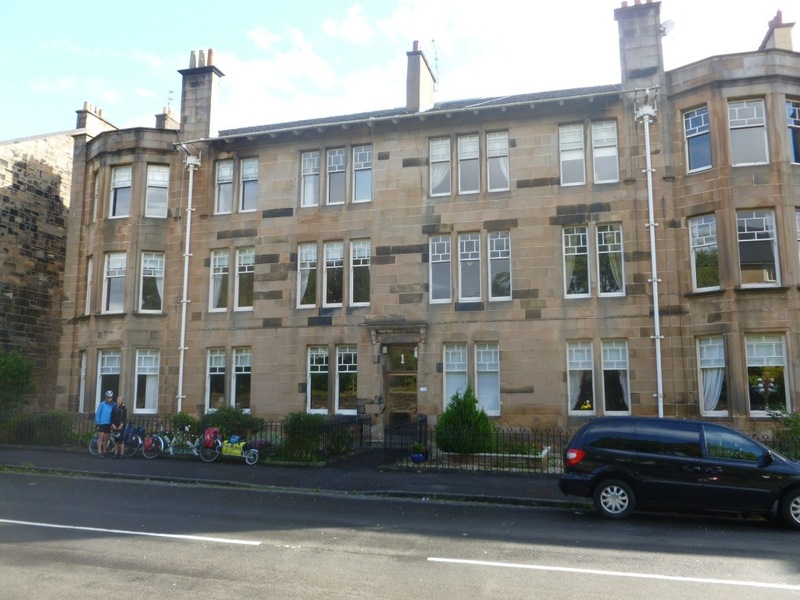 After having great weather for a number of days, our luck ran out in Glasgow. We also all caught colds and were therefore very fortunate to be staying with friends Phil and Anna for a few days, giving us time to recover. Glasgow itself was much more pleasant than expected, even in the drizzle. 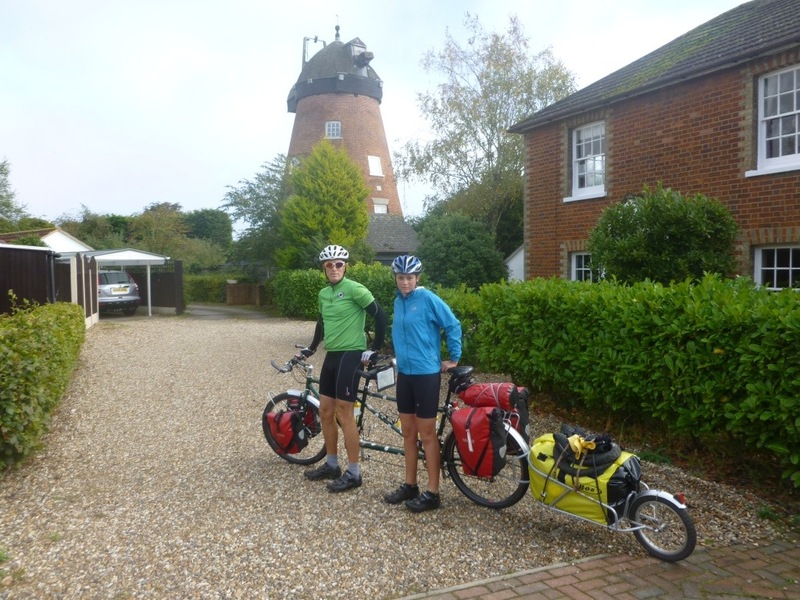 Thanks very much to Phil and Anna for making us so welcome and spoiling us with great food! Here we are sad to leave Phil and Anna’s lovely apartment. 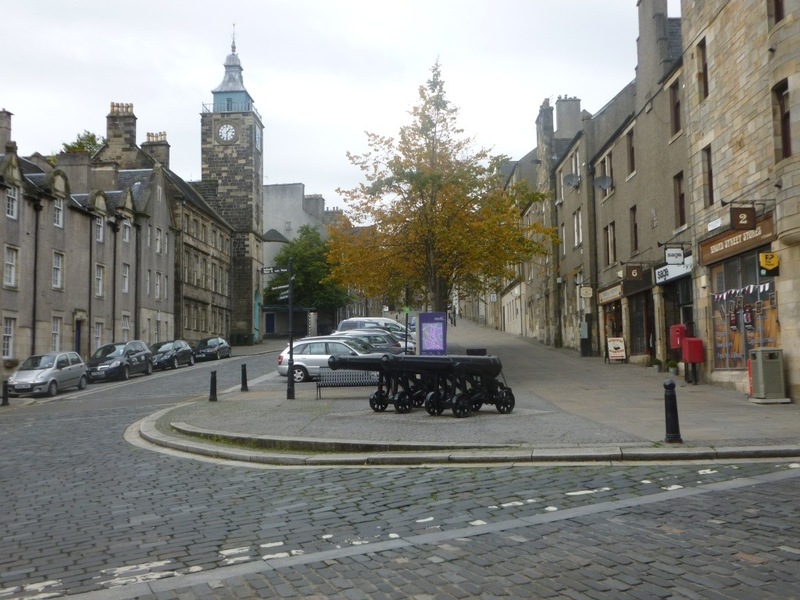 From Glasgow, we followed the canal to Stirling, where Gill’s mum was brought up. 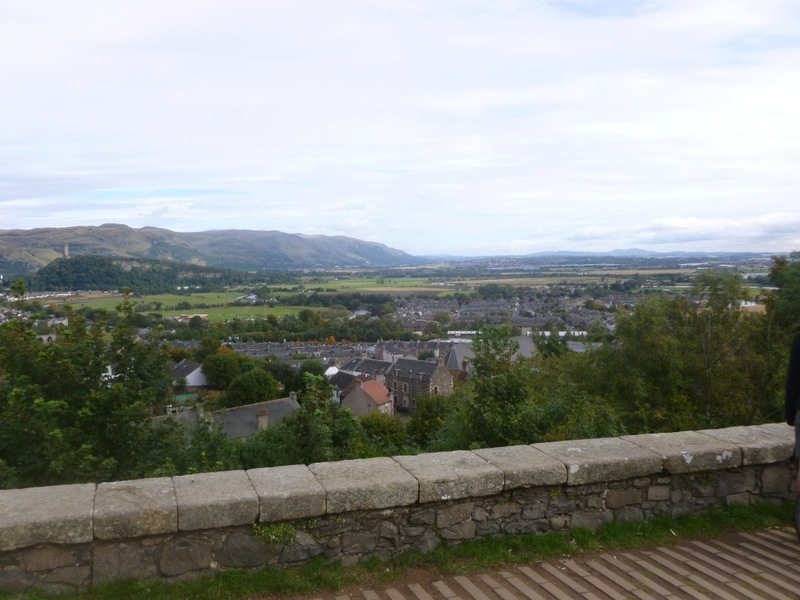 Stirling is also a pretty town with a great view from the castle. 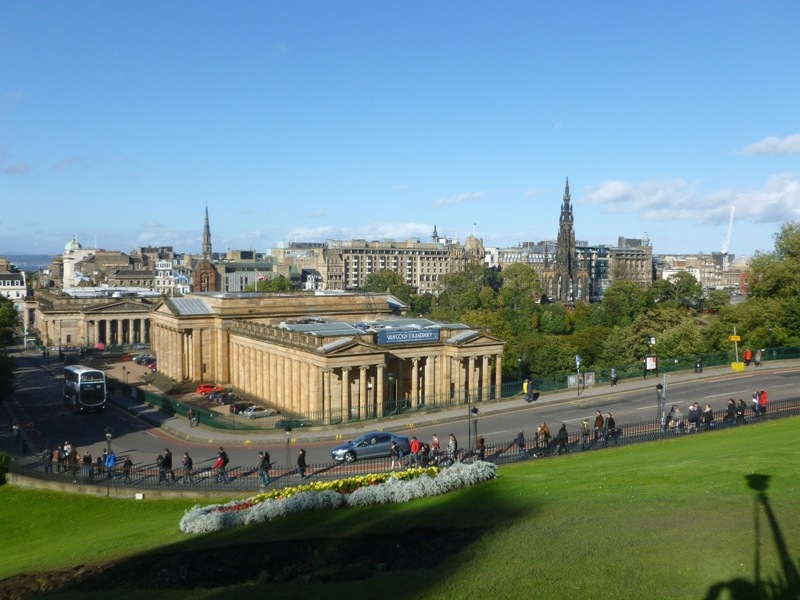 Whilst we hadn’t originally intended to go to Edinburgh, it seemed ridiculous to miss out on this city for one more day of riding. 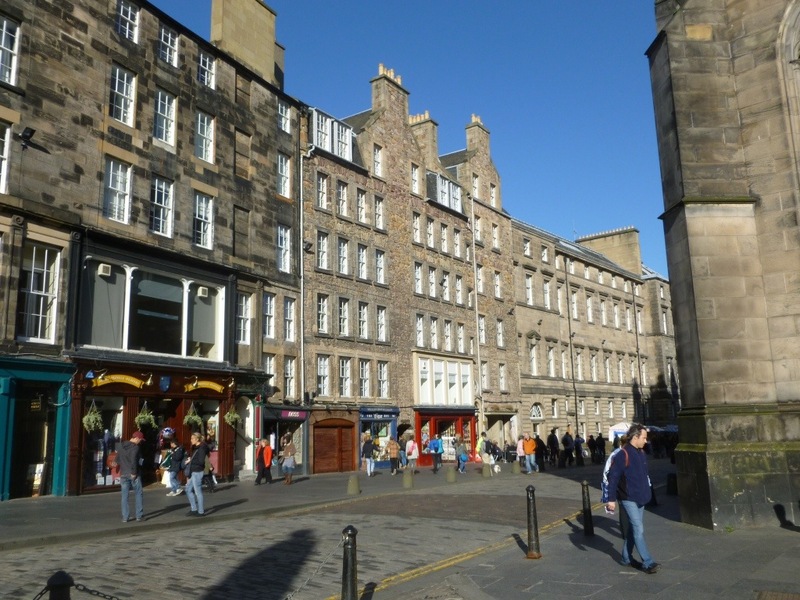 I am very glad we stopped, since we all found Edinburgh to be a beautiful and thriving city. 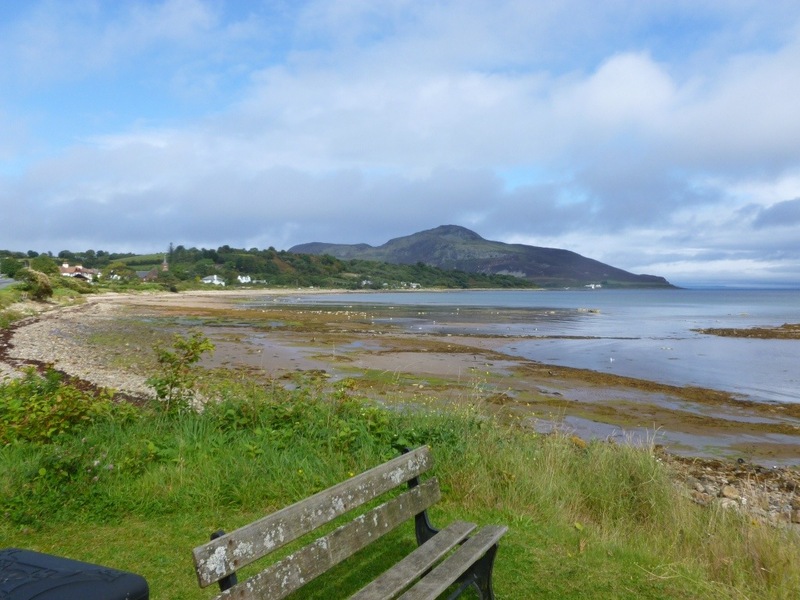 Our first Scottish Isle was Arran. 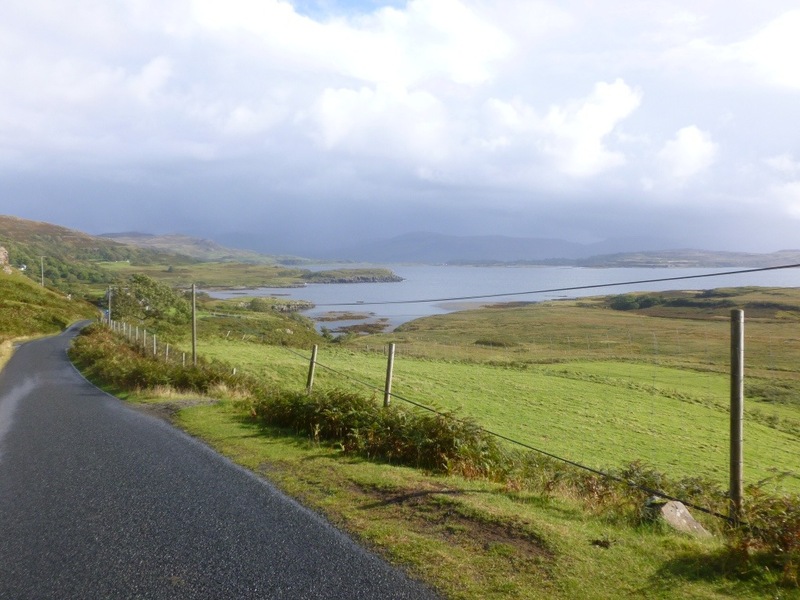 We cycled down the east coast of the island with sunshine and showers all the way. Here is the brightest moment near Whiting Bay. 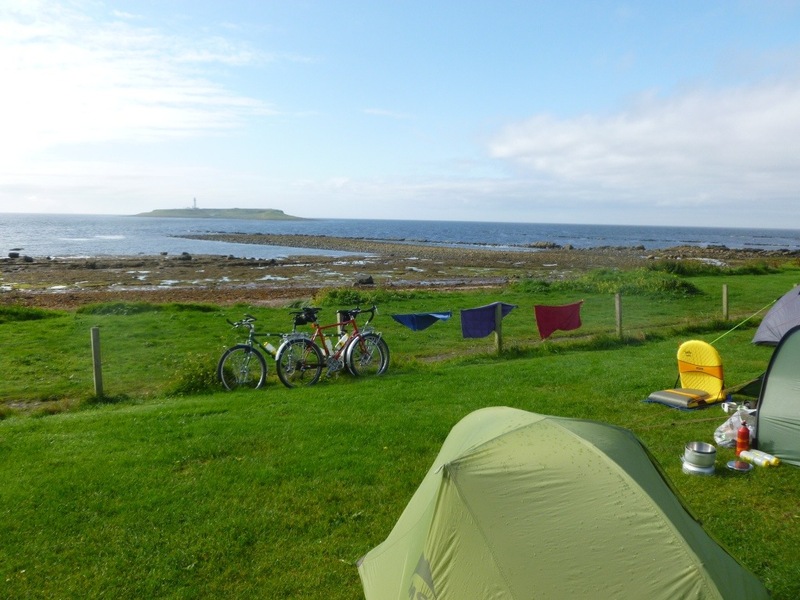 Our campsite for the next couple of days was at the little village of Kildonan on the south coast. It was in ideal place for a break, since our tent was right on the beachfront. 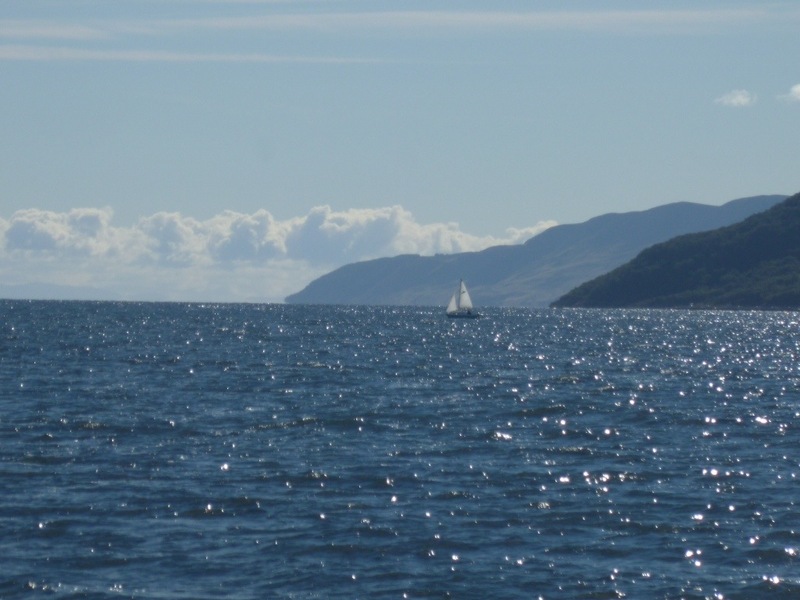 We had views to the islands of Pladda and Ailsa Craig, saw seals and dolphins from our tent and had the Kildonan Hotel nearby for essential food supplies. 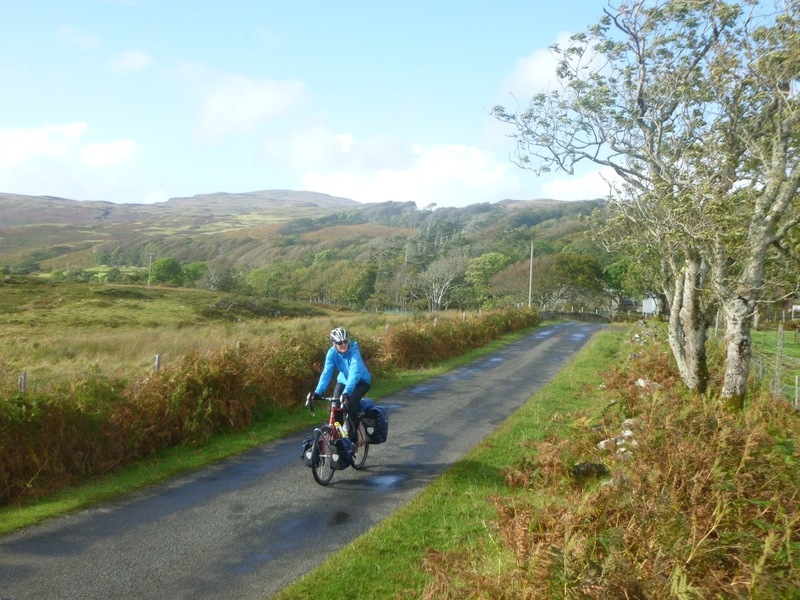 After a couple of days rest, we cycled north up the west coast of Arran. 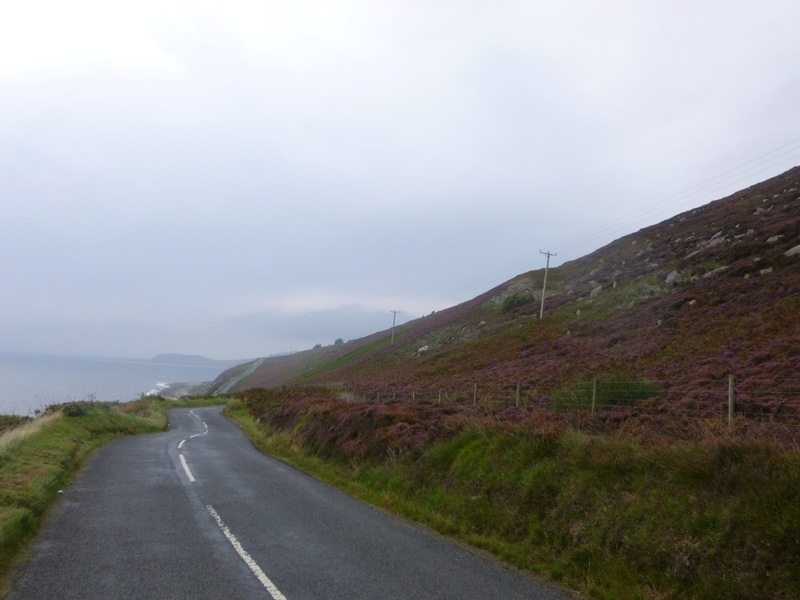 It was a blustery and wet day of cycling, but the roads were quiet and the hillsides were covered in heather. We made it to Lochranza extremely wet and hoping for a warm night at the youth hostel. 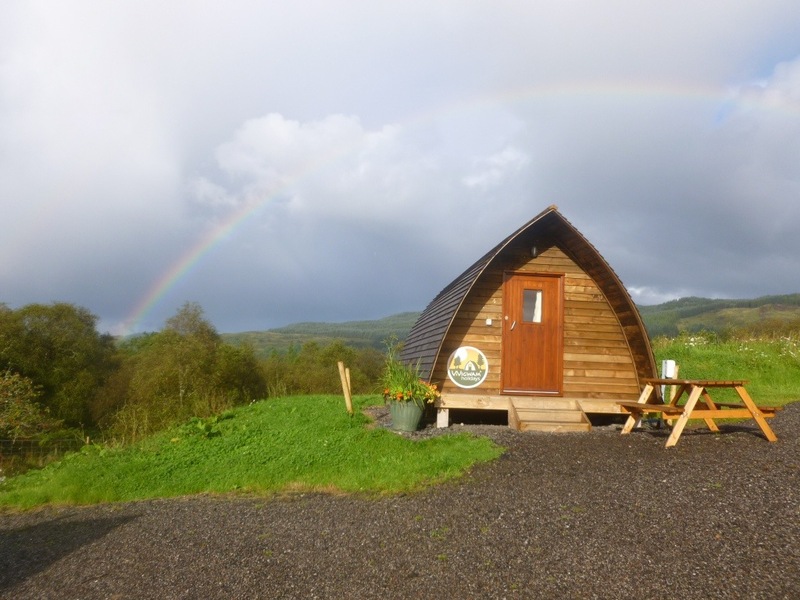 Unfortunately, the £80 per night wasn’t within budget, so we ended up camping again. 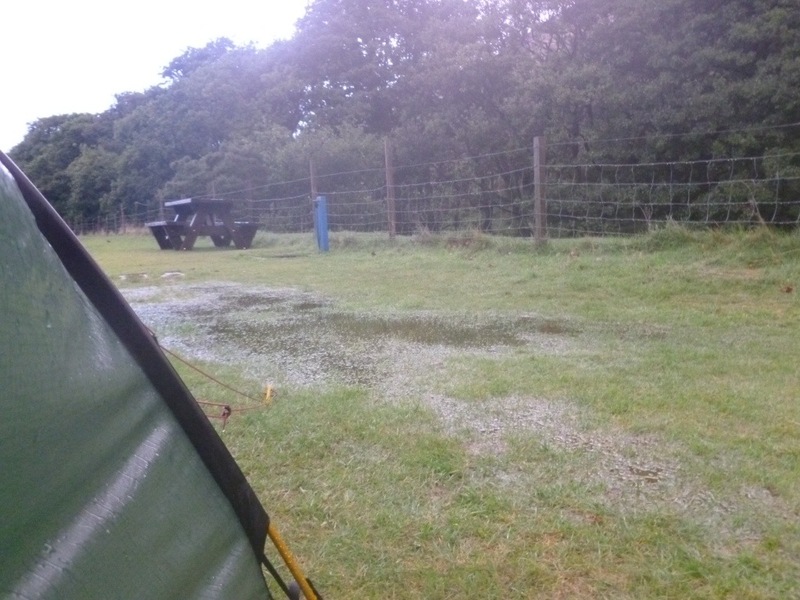 That evening we had a number of further heavy showers and the groundsheet was feeling sloshy! Here’s the view outside the tent door. The following morning, we managed to mostly dry out (more due to wind than sun) before getting on our next ferry over to the Kintyre peninsula. 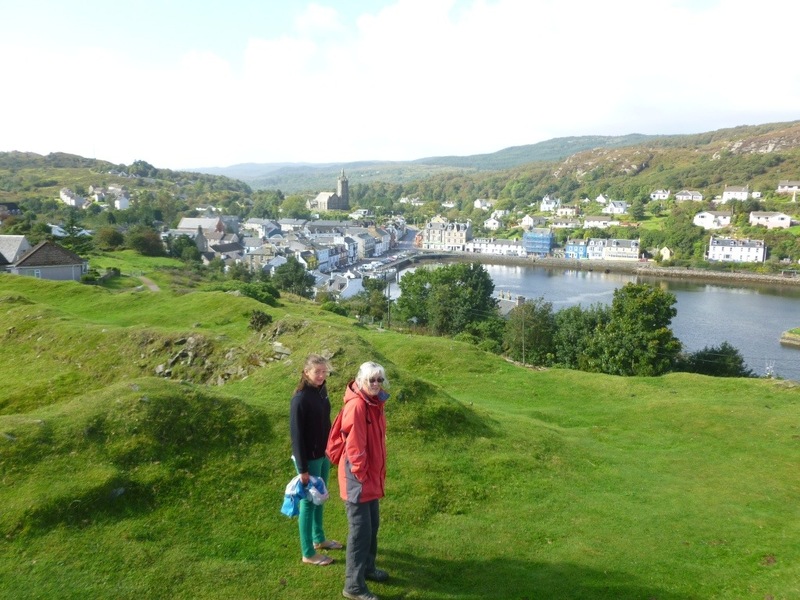 Once again we trudged our way through rain, eventually arriving in Tarbert. Without a campsite (and without much will to wild camp), we enquired about staying in some cabins. They proved to be an excellent option, not least to enable us to get some laundry done (a lot of wet, stinky bike clothing). 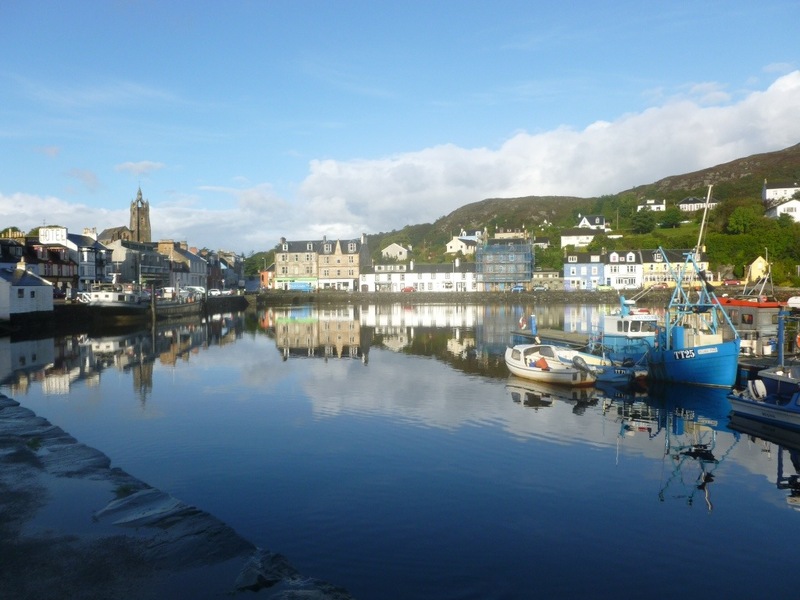 We stayed in Tarbert for a couple of days. It is a beautiful town with a lively fishing and sailing port. 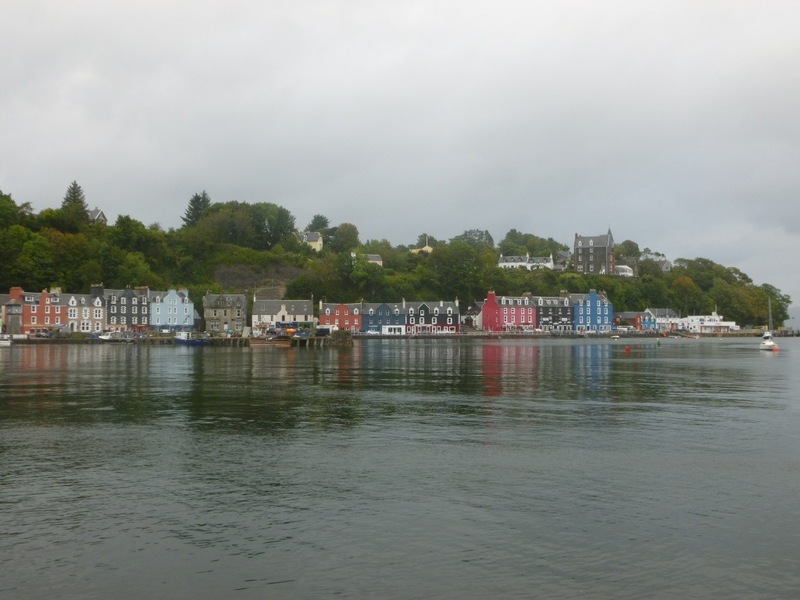 We could have cycled directly from Tarbert to Oban in 3 days, but we elected instead to take a ferry journey. The ferry stopped off at Islay, Colonsay and finally Oban. The hard part was catching the boat at 8am, afterwhich we enjoyed a wonderful 6 hour trip around the coast and through the Islands. 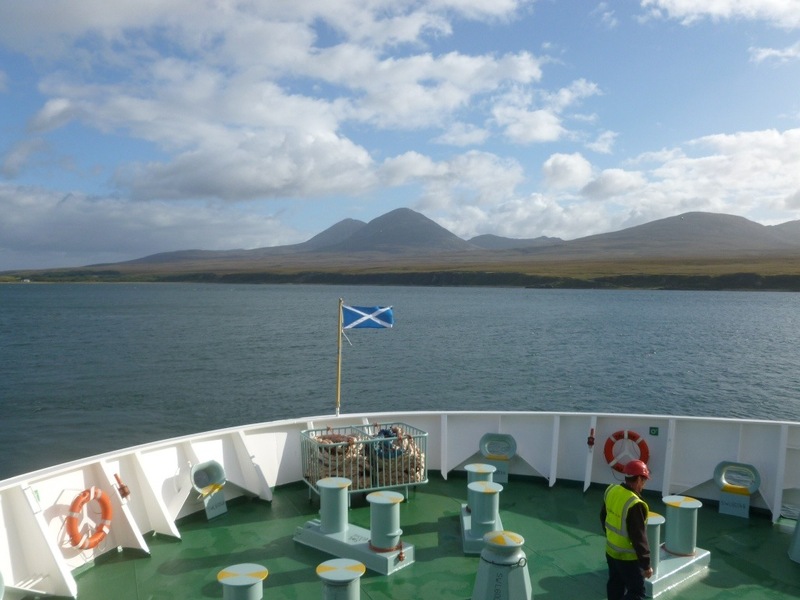 The journey began by passing inbetween the islands of Jura and Islay. Here is the view of Jura. 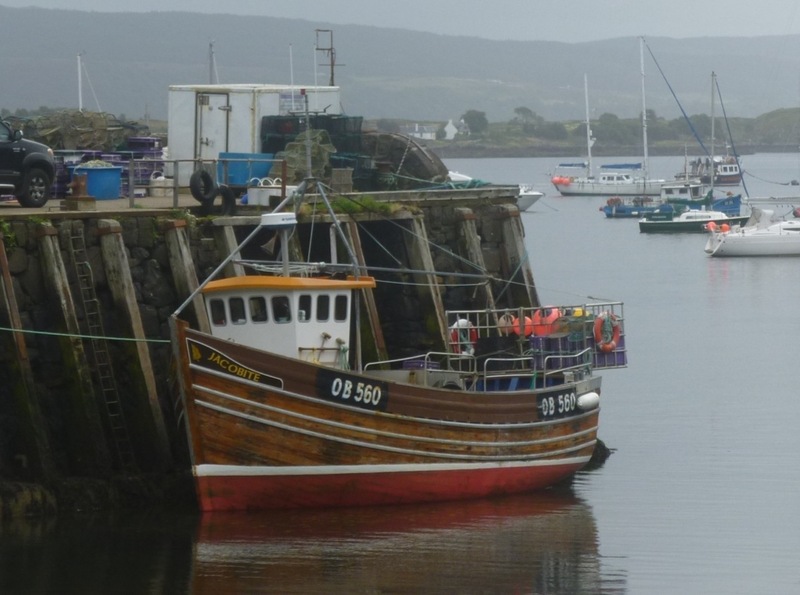 This is at Port Askaig on Islay. 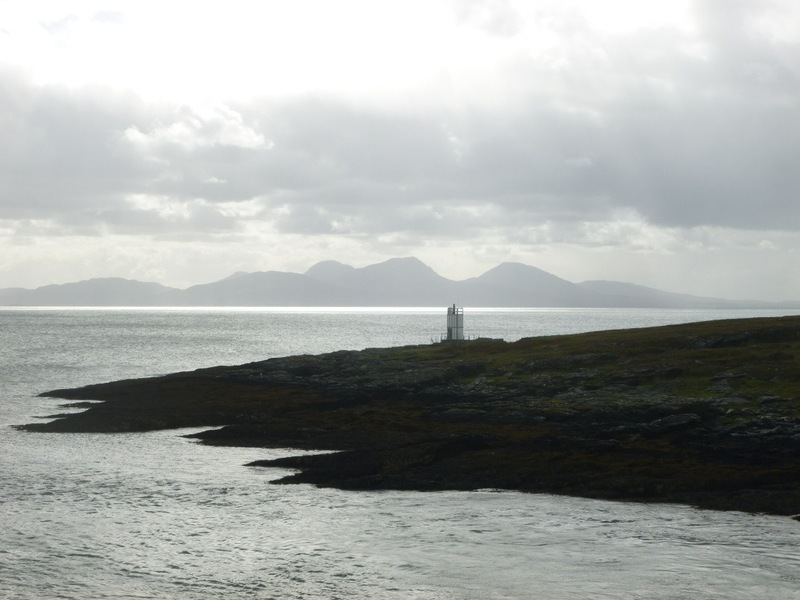 A lighthouse on Jura with Mull in the distance. 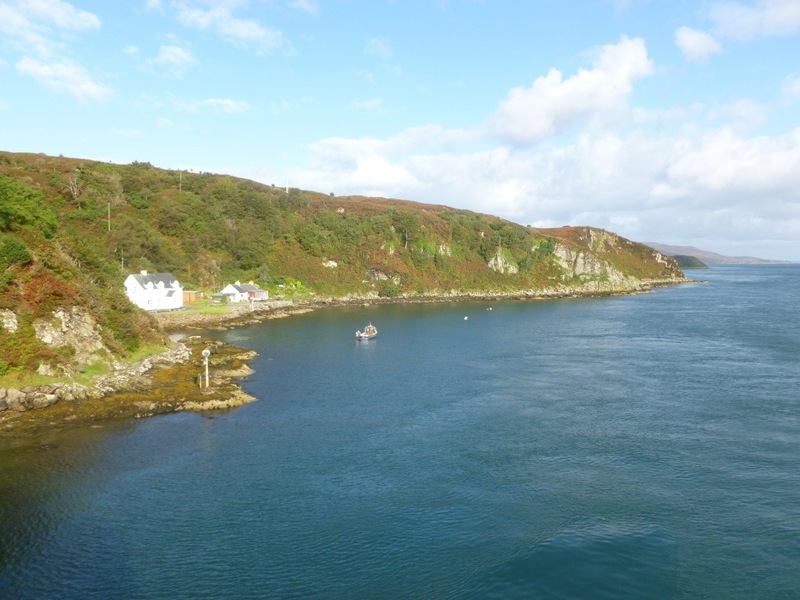 This is the harbour of Scalasaig on Colonsay. 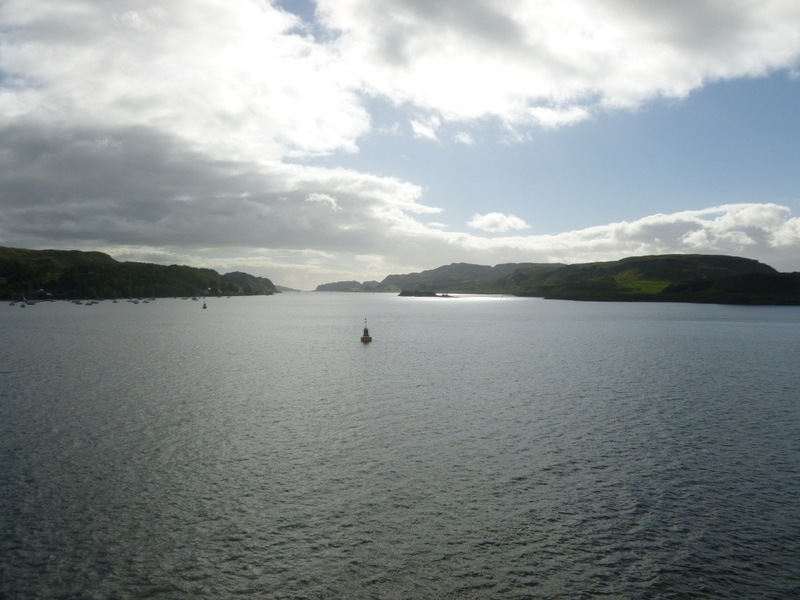 The sun shone more as we approached Oban through the Sound of Kerrera. 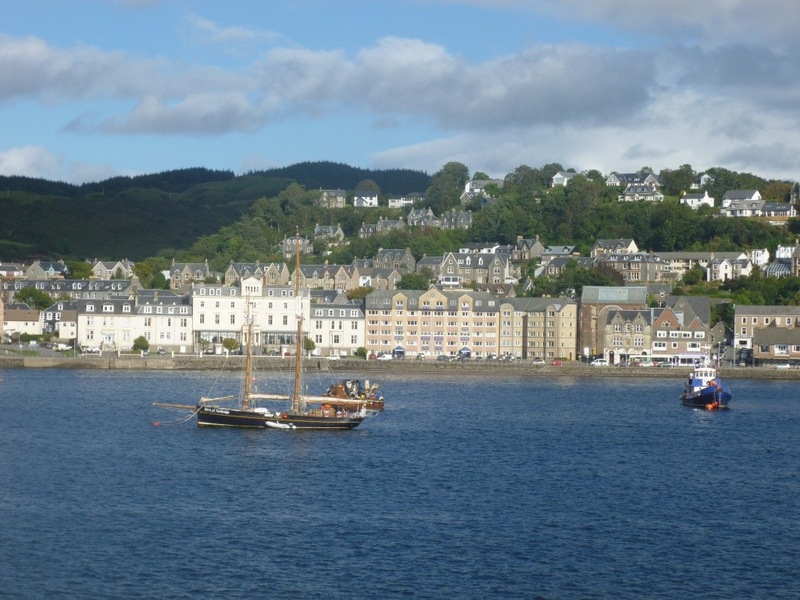 We finally reached the bustling port of Oban – otherwise known at “Gateway to the Isles”. 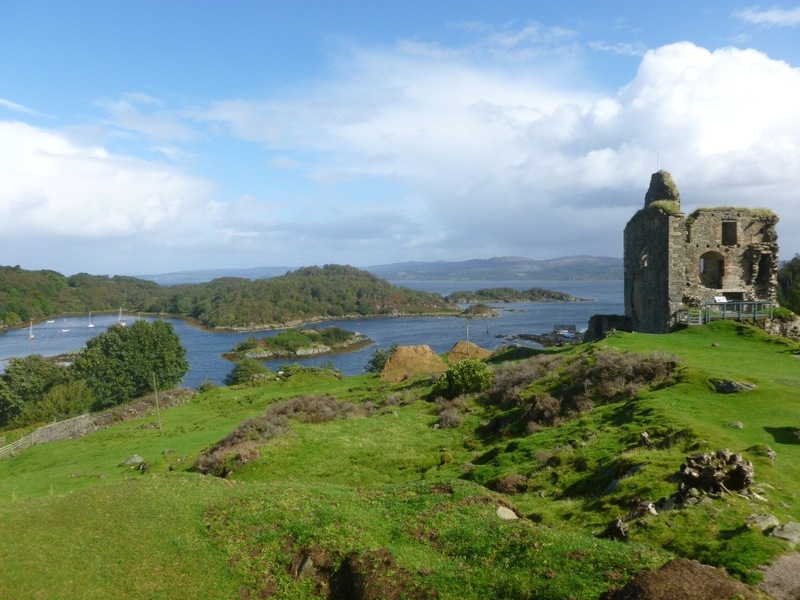 Our plan had been to camp in Oban, but we found the campsite to be about 3 miles out of town. We therefore decided to take the next ferry straight to Mull. 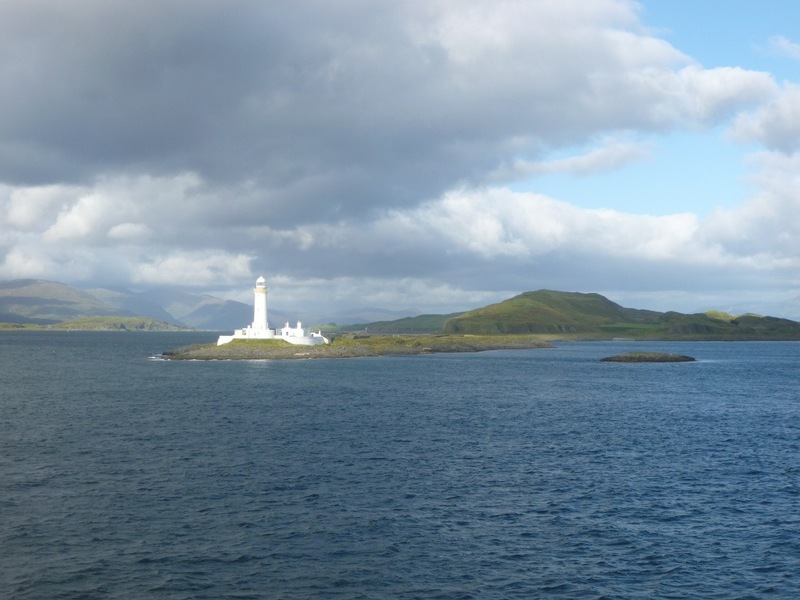 The crossing from Oban to Craignure on Mull is spectacular. This is a view looking north on the crossing. Our final destination was at the excellent campground at Craignure. The view from the tent was again magnificent. 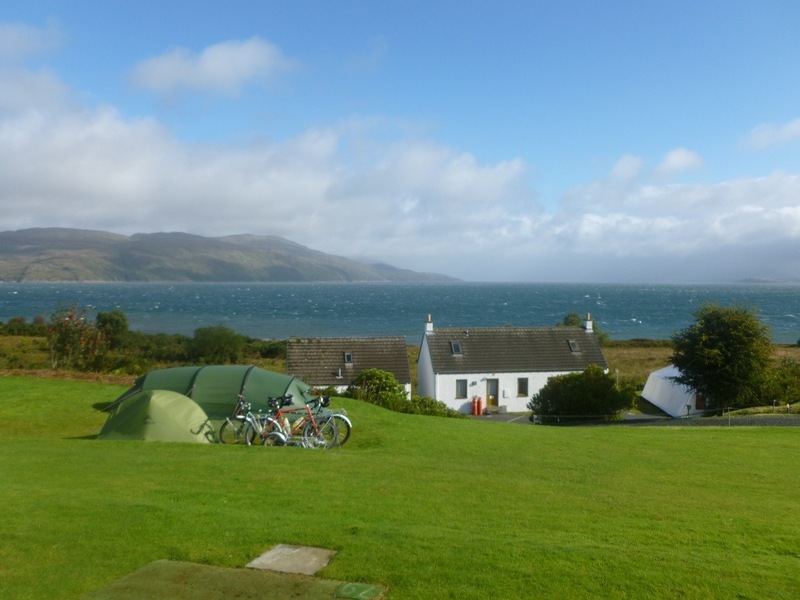 Unfortunately, we were to be marooned at this campsite for a further 2 days due to high winds. There was no way we could cycle directly into strong westerlies. The wind gusts were up to 70 mph (115kph) and the ferries were all stuck in port. Our tent took a battering – we have 8 guy ropes and 12 pegs, but we still ended up with bent tent poles. 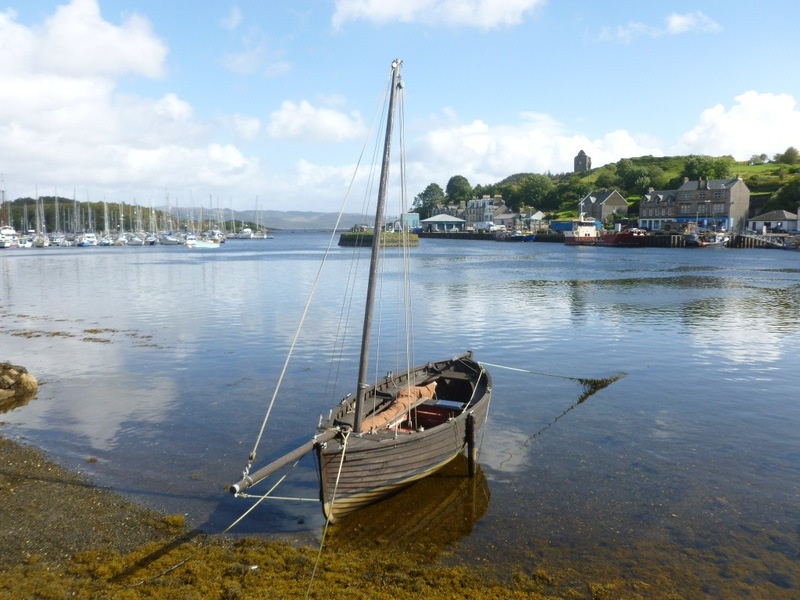 After 2 days, the winds eventually subsided and we made our way to Tobermory at the north end of Mull. 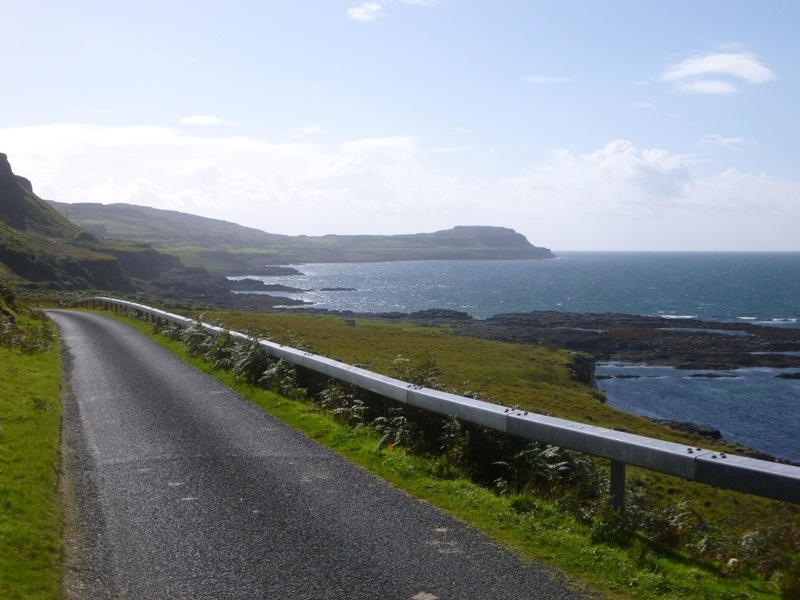 The following day, we welcomed the sun back and continued anticlockwise around the coast of Mull. 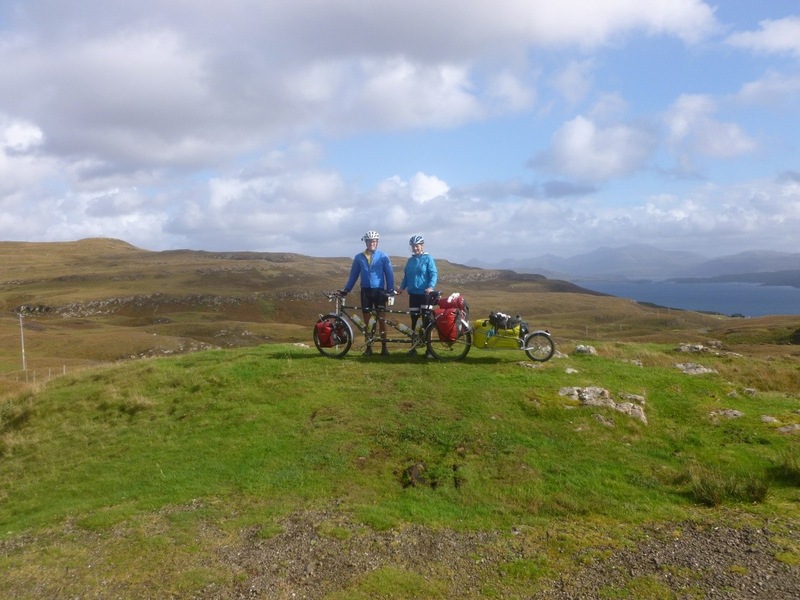 We climbed up to the top of a pass with beautiful views to the southern end of Mull. 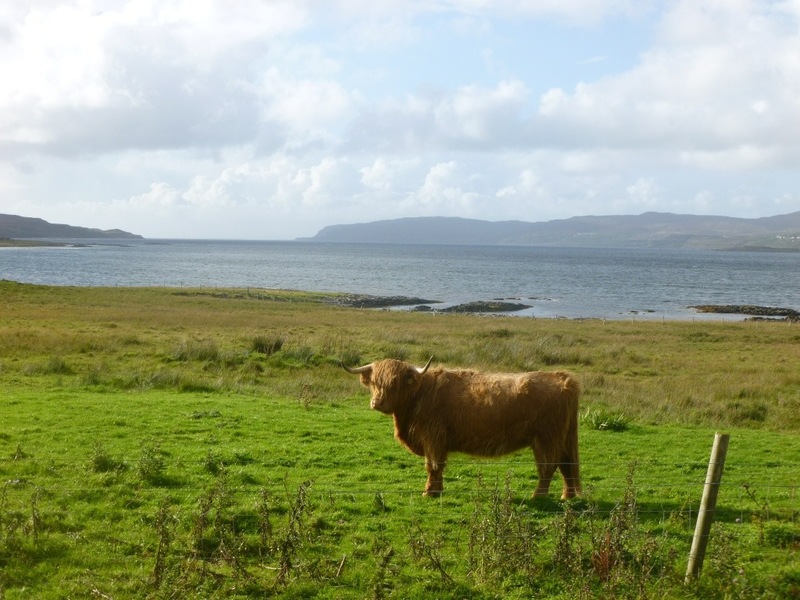 We also passed many fields with Highland cattle. We even had to share the road with some of them! Here is Gill cycling along the quiet roads. 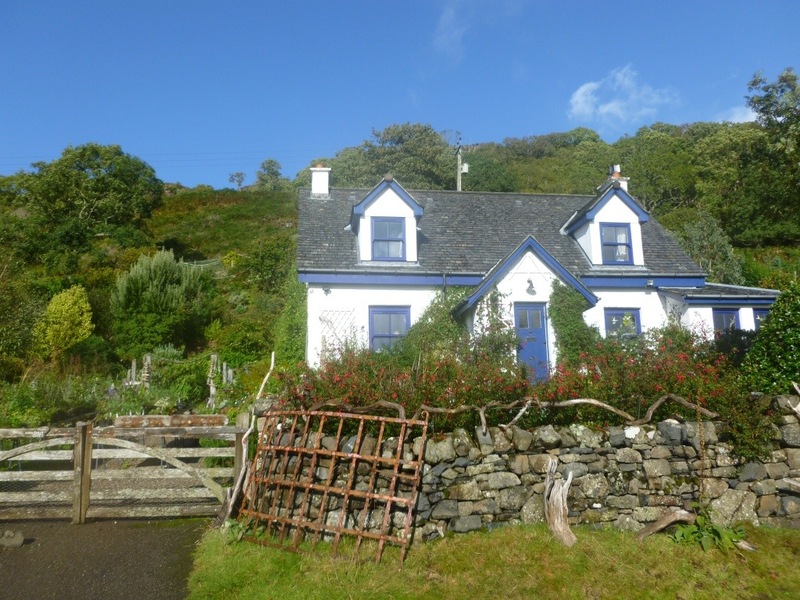 There are many pretty cottages on this stretch of coast, but we could find none to stop at! 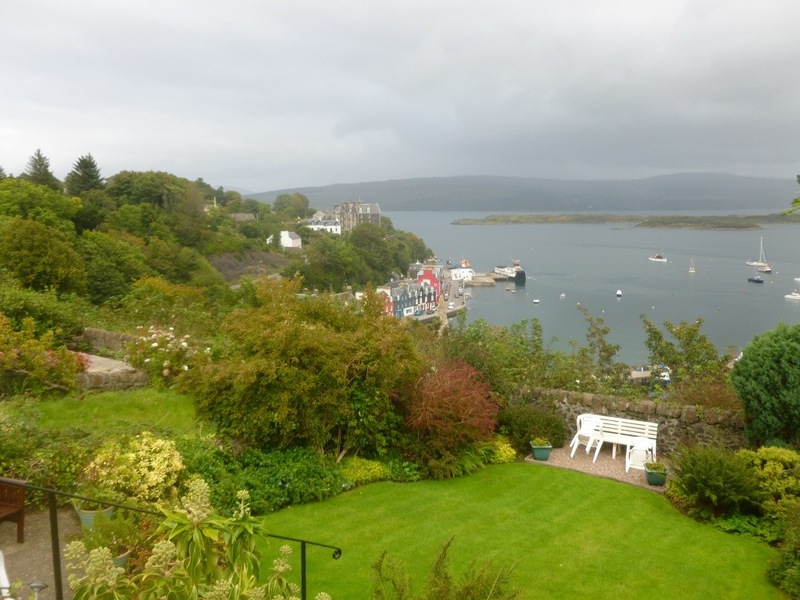 This is the view over to the southern end of Mull. 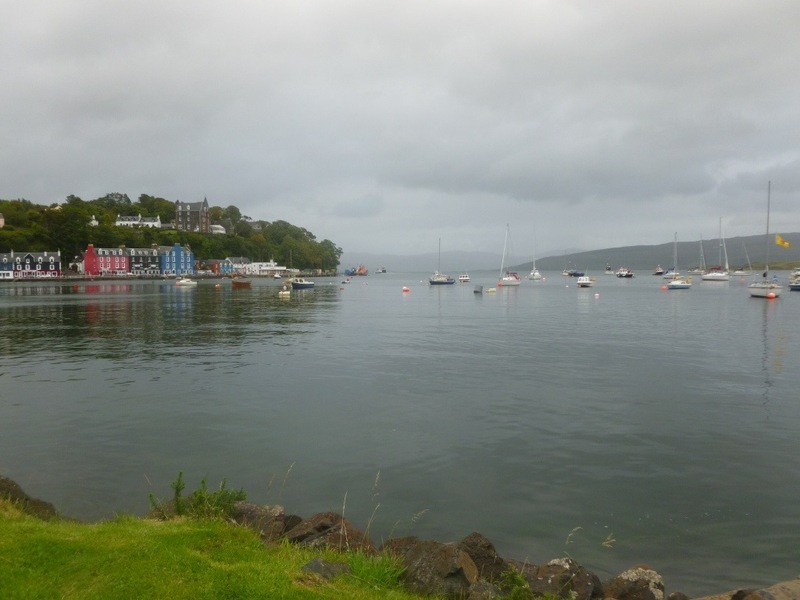 We are now back in Tarbert, having retraced our steps to via Craignure and Oban. I am left with mixed feelings of our time in Scotland. The beauty of the landscape is without question and we would like to have seen more. 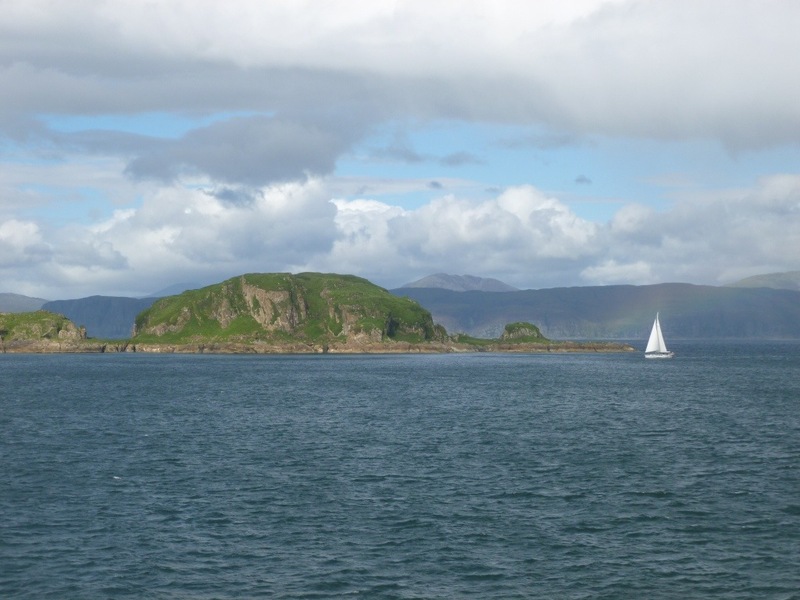 We had originally planned to go up to the Isle of Skye, but our progress has been slow and our time is running out. Additionally, cycling here in September hasn’t been easy. Whilst we’ve had many sunny periods, it takes only a short time to get drenched and soon after cold. The wind is a constant companion, but we have been fortunate so far to avoid the worst of the midgies. 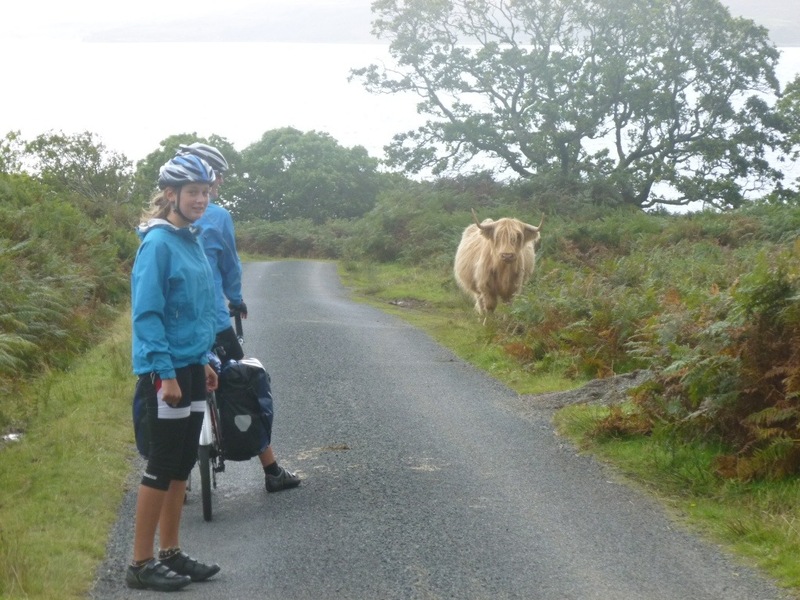 We have met many other cyclists doing similar trips. 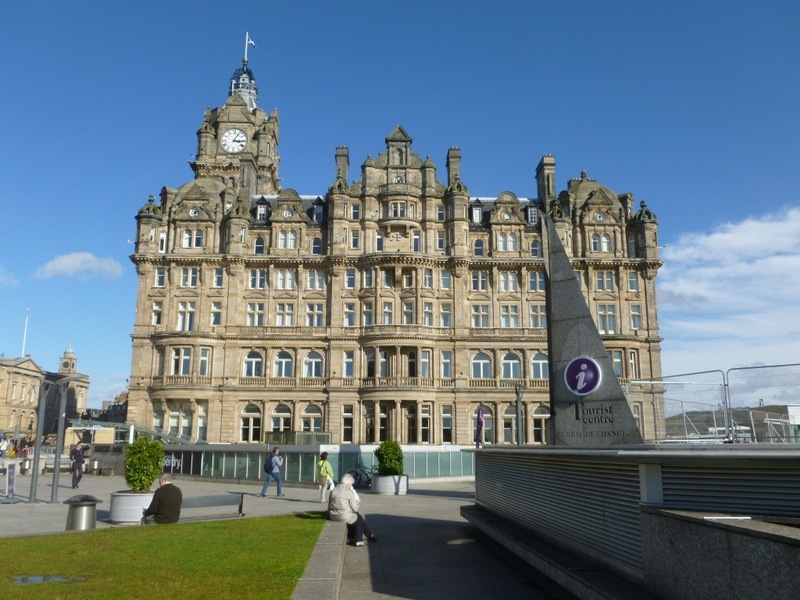 They are either extremely tough or have more luxurious accommodation booked. 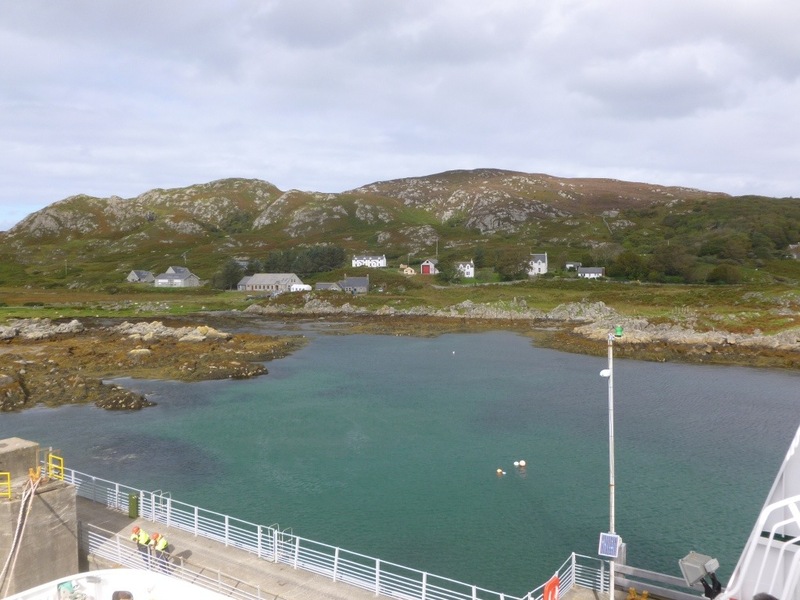 Our time in The Western Isles has been wonderful, but I’m glad to be heading south again!